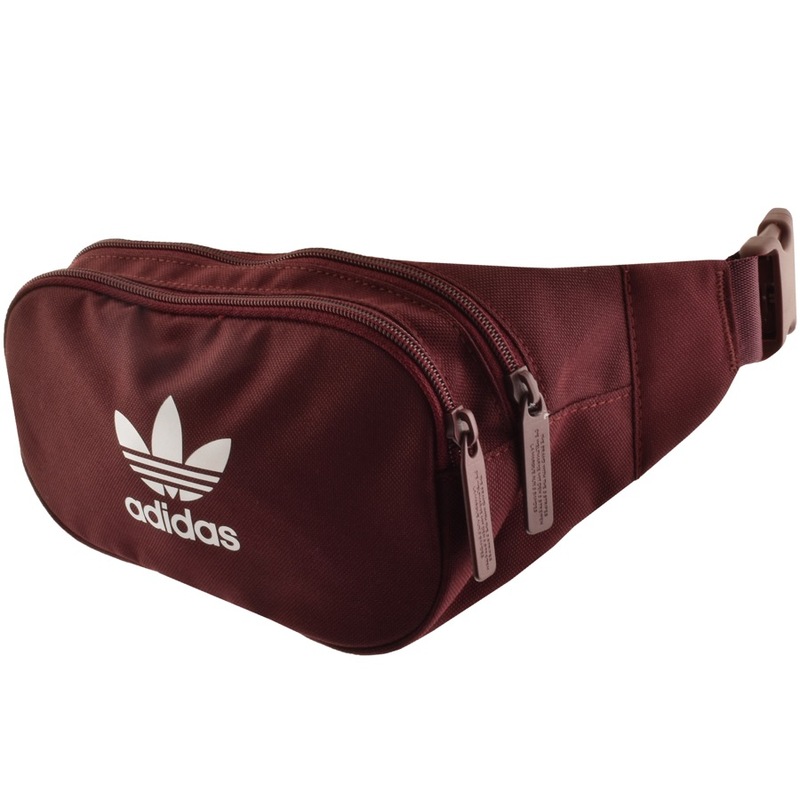 Adidas Originals Essential Cross Body Bag In Marron Burgundy. An adjustable woven strap in burgundy around the waist with a plastic clasp fastening. Branded zip entry to the main compartment of the bag and a smaller branded zip fastening compartment situated on the front of the bag. A Adidas Trefoil logo is printed on the front in white and an additional woven pinch tag is situated on the strap in burgundy with the 3 stripes logo in white. This bag measures approximately 8 inches in width and 5.5 inches in height. 100% Polyester. Amazing New Adidas Bags and Accessories Live Online.